Firstly, a special mention to Akita Prefecture. 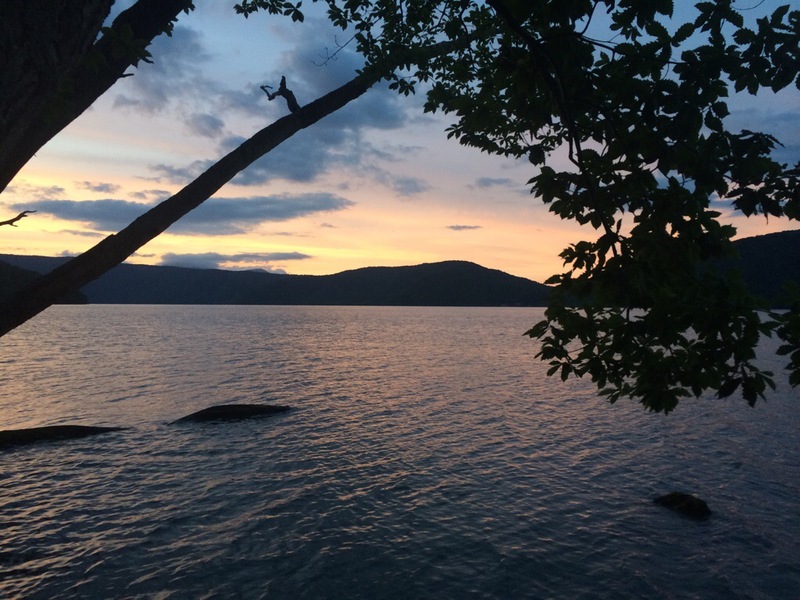 I’m not actually spending a night in Akita as the campsite I’m at is on the Aomori side of Lake Towada but I did spend most of the day there and it was very pretty. Today was more about the physical challenge than anything else. I knew it would be my toughest day since climbing Aso back in my second week but it turned out to be double trouble. I left the mysteriously deserted campsite at 8 and began climbing immediately. Kilometer signs counted me down to the summit but when they start at 25km and you’re averaging under 10km/hr you’d kind of rather they weren’t there. I chugged away. The air got cooler. I could see pockets of snow on the mountain ahead. And then I was riding past these pockets of snow and just before the top a ski lesson was in progress. It’s July on Tuesday! 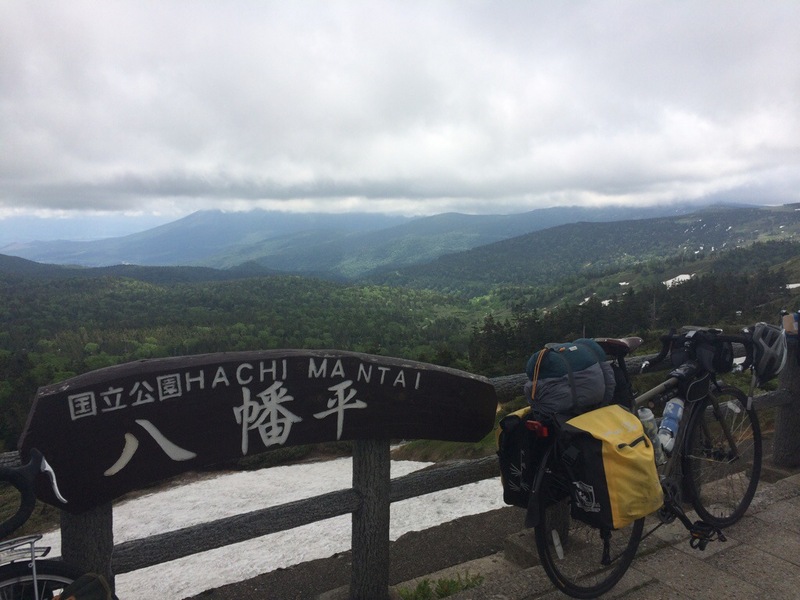 At 1560m Hachimantai is the highest point so far on this trip and may well remain so. Luckily the clouds were high and the view was special. 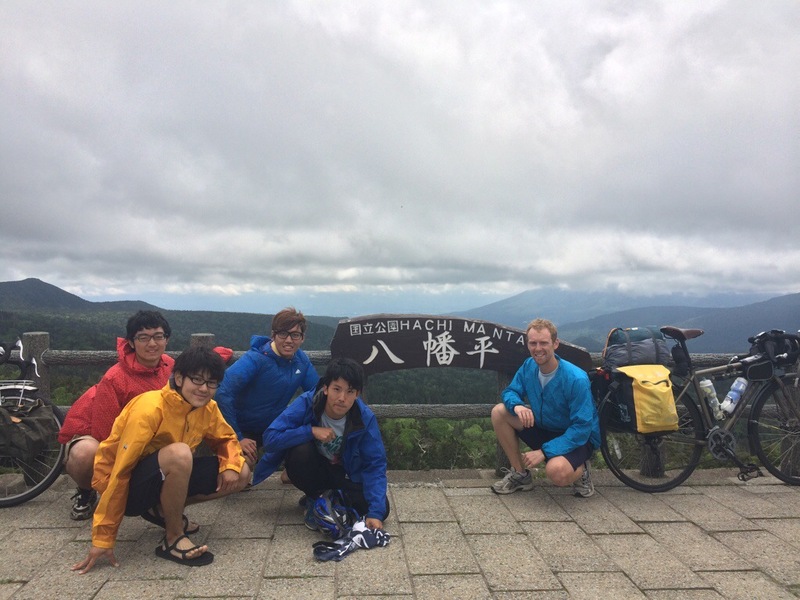 At the topi met a 4 students from Sendai who had left Morioka station at 5am to tackle the peak. Unfortunately they were heading in the opposite direction to me so we took some snaps and parted ways. I hope Naoki and friends make it back for class on Monday. The slog up was rewarded with a cruise down and I broke my top speed record and hit 61.5. 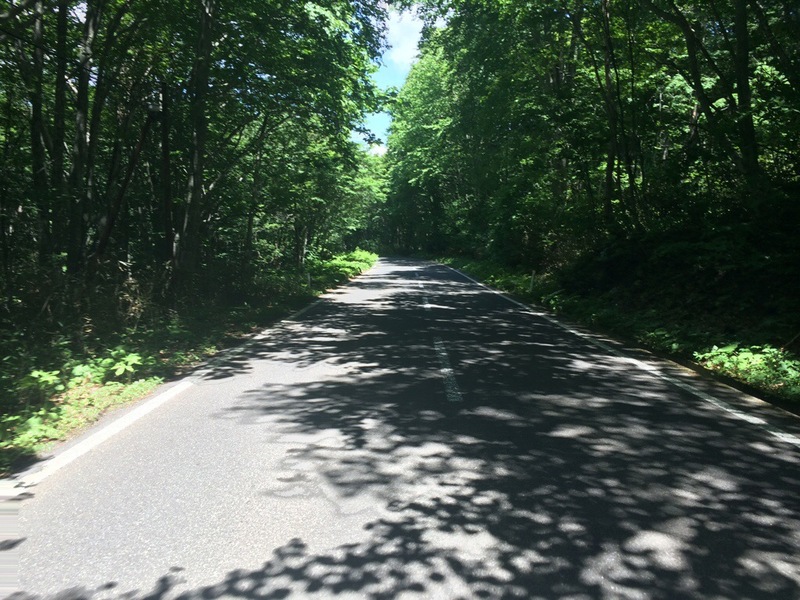 Akita presented me with beautiful forests and tiered paddy fields but also threw an unexpected climb in my face. Lake Towada is in the caldera of an extinct volcano, this meant I had to climb the outside before descending down to my lakeside campsite. But, again the climb was worth it. 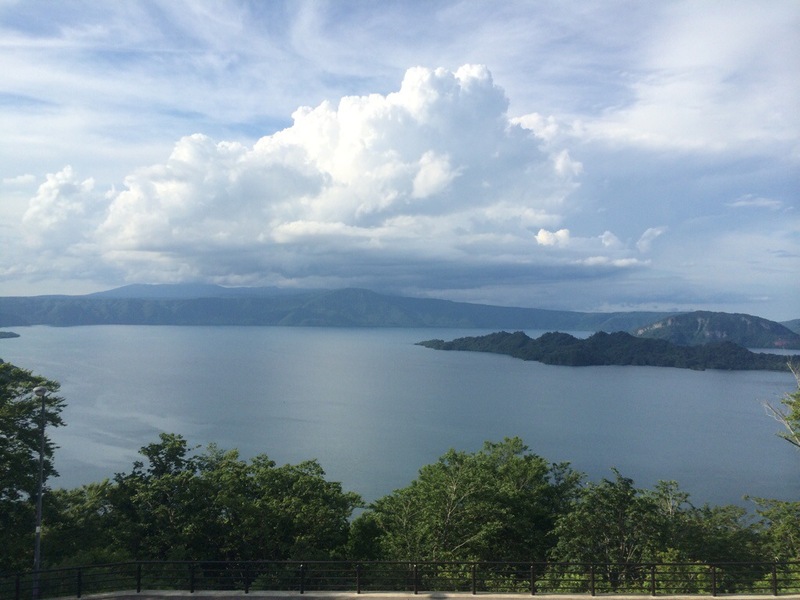 Towada, as I crested the hill took my breath away. It’ll be vying for most beautiful spot come the end if the ride. 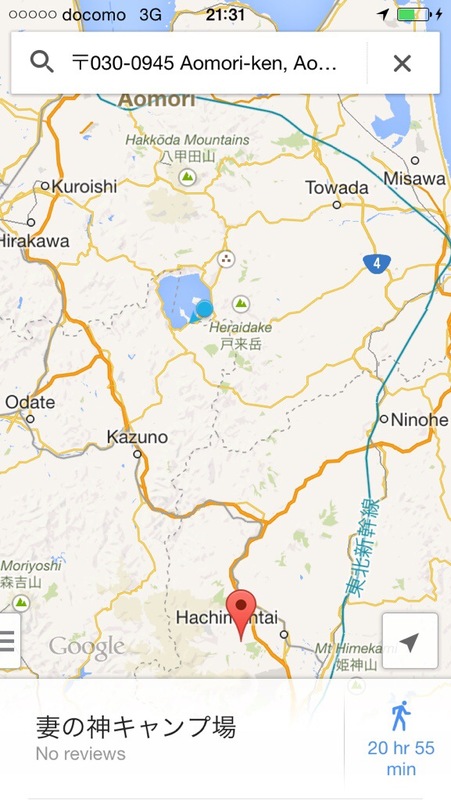 Does Hachi mean mountain then Dan? No, but it does look a bit like it could. 八 actually means 8 on its own but 八幡 is the god of war. There are lots of 八幡s in Japan. Strangely though the ‘tai’ (平) in Hachimantai means peace. So figure that one out.